What do these all have in common? They are all available at Sherman Oaks Elementary Charter (SOEC)! 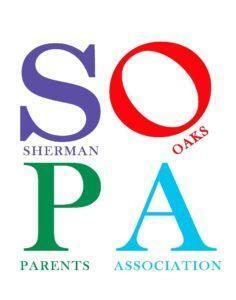 Due to LAUSD budget cuts, without the financial support from the Sherman Oaks Parents Association (SOPA), these programs would not be available at the school. Thanks to generous donations to SOPA, we are all able to enhance our children’s education and school. SOPA spends approximately $300,000 every year to fund these and other programs that enrich our children’s educational experience. Not too long ago, schools offered these programs as a matter of course. But due to LAUSD budget cuts and economic issues mean, that without financial support from SOPA, these programs would suffer. To raise the money needed to fund these programs, SOPA has fundraisers throughout the school year. The largest of these is our Tiger Fund. By donating to the Tiger Fund, you are making a direct impact on your child’s education by helping fund these activities. Art Explorers: SOPA pays for three professional art teachers to teach our children art history and technique. Computer lab: SOPA pays for computer lab instructors and for over 100 computers used both in the lab and in our classrooms. Music: SOPA pays for a professional music teacher to teach our children music theory and appreciation. 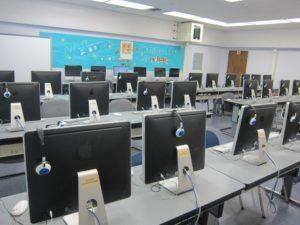 Science Teachers and Lab: SOPA provides two science instructors. One is dedicated to 1st – 5th graders in a fully functioning science lab. The second teacher is dedicated to teaching kinder instruction two times per week. SOPA also pays for other items that aren’t as obvious. SOPA gives each teacher a stipend for class supplies; we purchase balls and other equipment for the playground; and we provide funds to beautify the campus so our kids have a nurturing environment in which to learn. There’s a lot more, but as you can see SOPA provides things that are vital to the educational experience at SOEC. So, how can you help? The easiest way is to make a contribution to our Tiger Fund. That money will go directly to those programs that enrich our children’s experiences. –Tiger Pride ($1500+) – Invitation for 2 to an exquisite dinner of delicious food and fine wine plus all benefits of Tiger Spirit level. The deadline for this benefit is January 31. –Tiger Spirit ($500-$1,499) – A tile on the Great Wall of Tigers plus all benefits of Tiger Pal level. The deadline for this benefit is January 31. 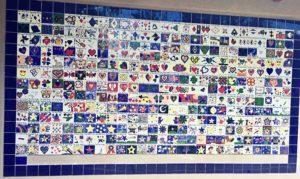 Donors who give $500 or more can decorate a tile with their child and have it displayed on our Great Wall of Tigers. –Tiger Pal – ($100-$499) – A car magnet with the SOEC logo. There is no deadline for this level. All donor levels can be attained by making one payment or by making multiple payments, as long as the total amount is paid by January 31, 2018. For those who have companies that match donations to a 501(c) (3), you may use the matching funds to attain a certain donor level, as long as the funds are received by the deadline. All gifts to SOPA are tax deductible to the extent allowable by law. For your actual deductibility, please consult your tax advisor. If you would like to designate your donation to a specific area please place one of these in the note column (if you don’t have a specific designation your donation will go into the general fund). We thank you for your support. Most importantly, our children thank you.